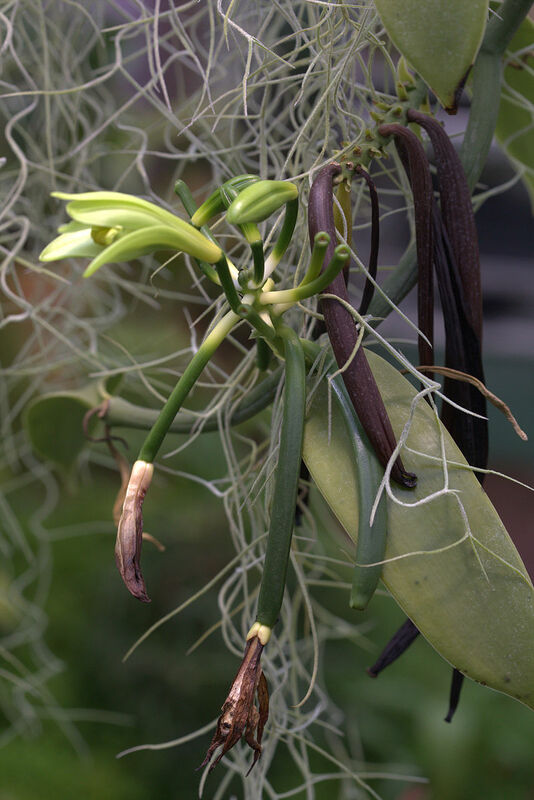 This leafy climbing orchid is from hot, wet tropical America. The flowers are hand pollinated. Propagated generally by cutting. 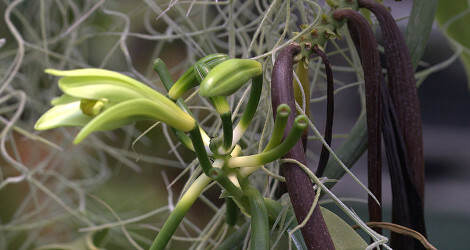 The vanilla flower is self-fertile, but incapable of self-pollination without the aid of an outside agency to either transfer the pollen from the anther to the stigma or to lift the flap or rostellum then press the anther against the stigma. The only time this can be accomplished is during the morning of the one day the flower is open. Unless pollination occurs, the flower drops from the vine the next day. Uses: The vanilla orchid is grown for its seed pods that are harvested and go through an extensive drying and curing process to create commercial vanilla. Without this drying and curing the green seed pods do not contain a potent vanilla flavor. The drying process creates vanillin crystals and turns the pods from green to black. 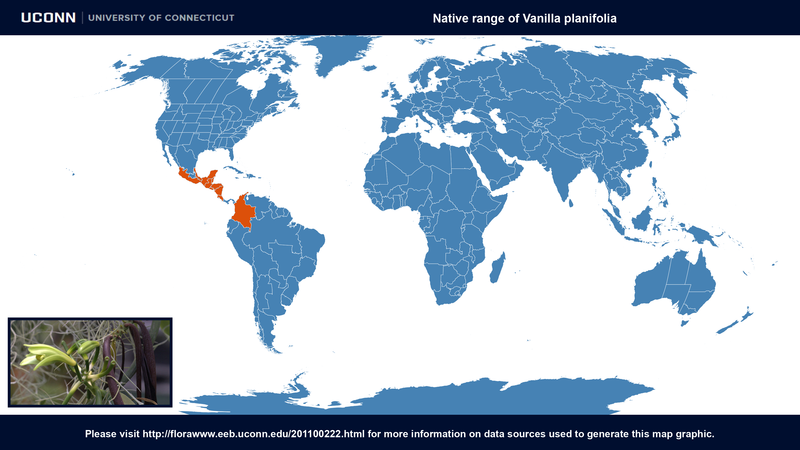 Vanilla planifolia at Orchids Wiki. 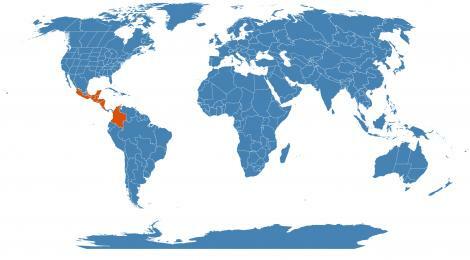 Accessed 23 May 2015. Image #00 (cropped) & #01 (original) by Averater (Own work) [GFDL or CC BY 3.0], via Wikimedia Commons. Last accessed on Thursday, October 26, 2017.